Hello my name Miss Brianna. I started at Busy Bee in 2011 as an assistant and am now a Certified Infant Toddler Teacher. I love to spend time and laugh with my family and friends. 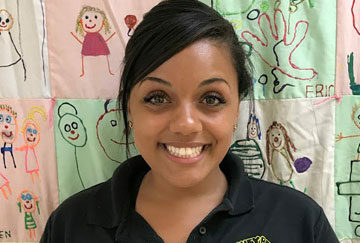 You can find my smiling face in the Infant Classroom and I look forward to meeting you and your new bundle of joy!